Thru September 15th, you can get a FREE $5 Target Gift Card wyb a Boppy Product both in stores and online at Target.com. 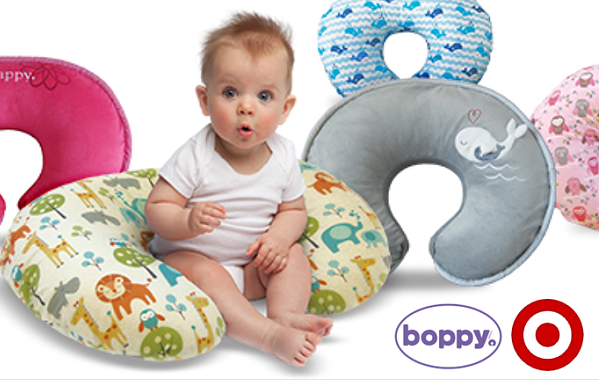 If you already own a pillow – prices start at just $9.99 for the Boppy Slipcovers, so as low as $4.99 after gift card. There’s lots of other Boppy gear included, and no code or coupon is needed – the gift card will automatically prompt at the register or be added to your cart if purchasing online. Shipping is FREE on orders of $35 or more or choose FREE store pickup where available. And as always, if you have a REDcard you will also get FREE Shipping with no minimum and an additional 5% Off.